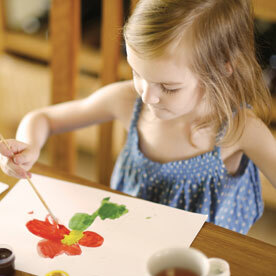 Creativity is an important aspect of your children’s development. When you encourage your child to think and be creative, you are helping them to develop mental, social, and emotional skills. An article from Parents mentions that when your child creates art, their ability to analyze and problem-solve in a variety of way is increased. Not only does painting and coloring boost fine motor skills, but your children also experiment while creating art and get a boost of self-confidence. An AboutKidsHealth article also mentions some of the benefits of creativity in children. 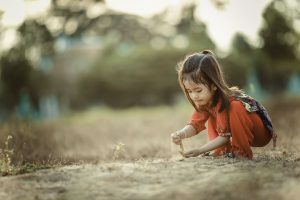 This article also mentions that creativity offers children the ability to problem-solve, innovate, and explore new areas. Children who are encouraged to be and think creatively often display higher self-esteem and motivation. Creativity leads to ingenuity, which is necessary for successes in art, technology, and science. However, the article also mentions that creative thinking decreases with age, with the biggest decline being from kindergarten to third grade. One reason for this decrease is the increase of standardized tests and the need for conventional thinking skills. Divergent thinking, the creative side of thinking, is decreased when students are encouraged to think in other terms. While your kiddos are still young, you can encourage them to be creative and help them to develop their divergent side of thinking more. Fostering your children’s creativity is important to help them grow and develop different skills. There are many ways to help feed your children’s creative spirit. Read on to learn some of the best ways to do so. If someone has ever asked you to be creative in the moment, you know how hard it can be to think creatively when put on the spot. While your children may be able to come up with creative thoughts at a rapid pace, they still need the right space and equipment to be able to fully dive into their creative thoughts. Set up a space for them to have full creative freedom, a space that does not have to be clean the majority of the time. But that just shows that their creative juices are flowing! Stock their space with art supplies, dress up clothing, building blocks, and other things that can help them be creative. This is their space to think, play, and be creative. This is extremely important when your child is younger. Another article from Parents mentions that limiting your babies time in a bouncy seat or another toy the limits their ability to explore also puts a limit on their creativity. Tummy time is a great way to get your little one exploring and discovering the world around them. Allow them to crawl and get a sense of the world around them. Not only should you let your kiddos explore physically, but also mentally. 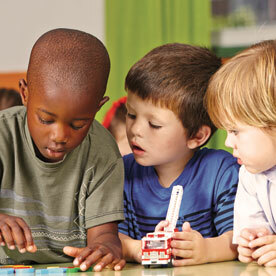 Allow them to work through their ideas and explore different methods of doing something. Creative children are likely to have multiple “projects” going at the same time. Don’t force them to focus on one until it is finished, just let them go with the flow of their creative little minds. While creativity doesn’t come easy for a lot of us, being creative can help our children to learn by example. An article from The Conversation found that highly creative parents have highly creative children. There are many ways to be creative around your children. The Conversation article mentions using an object in ways other than their original purpose, from example, use a towel as a cape. This will allow your children to start thinking creatively about different objects and explore different ideas that have about objects they use daily. Another great method for showing your child your creative side is to sit down and do art projects with them. Ask them what they are making and tell them about your project. Asking them questions about what they are using and what you should use can help get those creative juices flowing and allow them to think about their creativity. While video games may give your children a sense of a different world, they can be pretty mindless. Swap out the video games for books. Read to your children or have them read to themselves, if they know how to read of course. Books have a beautiful way of drawing us in and capturing our attention. They feed our creative side and allow us to become lost in another world. While children’s books may not get them to that point just yet, they will still be able to use their imagination and creative side as your read to them. Children book are creative in themselves, and when you kiddos read these or listen to you read them, they get a sense that it is good to be creative, think differently, and come up with unique ideas. Even as children graduate to chapter books, they will be able to find book about made up worlds, creatures crafted from the author’s imagination, and so much more. 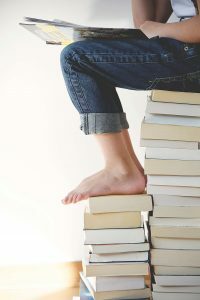 Getting your children to enjoy reading may be the tough part, but once you figure that out you will open the door for non-stop creative thinking. If you have walked through the toy section at Target recently, you know that there is a huge variety of toys. It is almost overwhelming. While these toys may be fun and your children probably want them all, keeping the toy selection simple can help boost their creativity. Swap of the complex and advanced toys with things such as blocks, Legos®, balls, art supplies, and other simple toys. These types of toys will allow your kiddos to use their creativity to come up with different ideas on how to use them. We aren’t saying that you should get your children any other toys, but be sure you add some simple toys into the mix that gets them thinking on a different level. 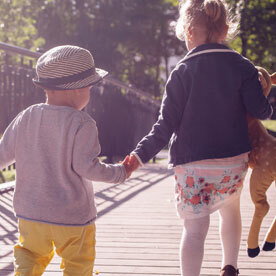 Asking your children questions about anything could help boost their creative thinking. If you ask the right questions you can get them thinking differently and help their creative minds working harder. Ask them what type of superpower they want and why. Ask them what they are making. An article from The Creativity Post mentions that parents should answer questions with questions. Children are curious and want to know everything about what they see, hear, and experience on a daily basis. Rather than answering their questions and simply giving them the answer, respond with a question. This will get them thinking and allow them to use any information they have gathered to come up with an answer. The key here, is to get your child thinking on a different level and rewarding them for it. If you do not know the answer and their guess is, well, a guess, learn the answer together. Look it up and discuss the answer with your child. Not only will this help build their creativity but also their curiosity, another important factor in development. Encouraging your children’s creativity is a great way to help them with their development. A creative child may carry that creativity with them as they grow older, which will help them throughout their entire lives. Allow your child to be creative and give them the tools they need to do so. 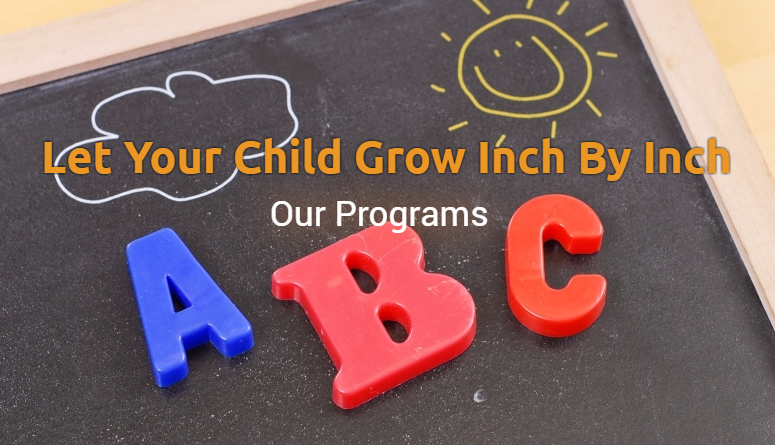 At Inch By Inch Child Care, your little ones will be encouraged to think and act creatively, allowing to develop these skills even further. 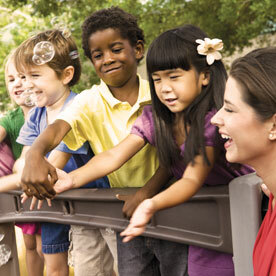 Learn more about our child care center and schedule a tour today!